Born in London Edward William Cook was the son of an engraver and was doing engravings of flowers for publication before he was ten. 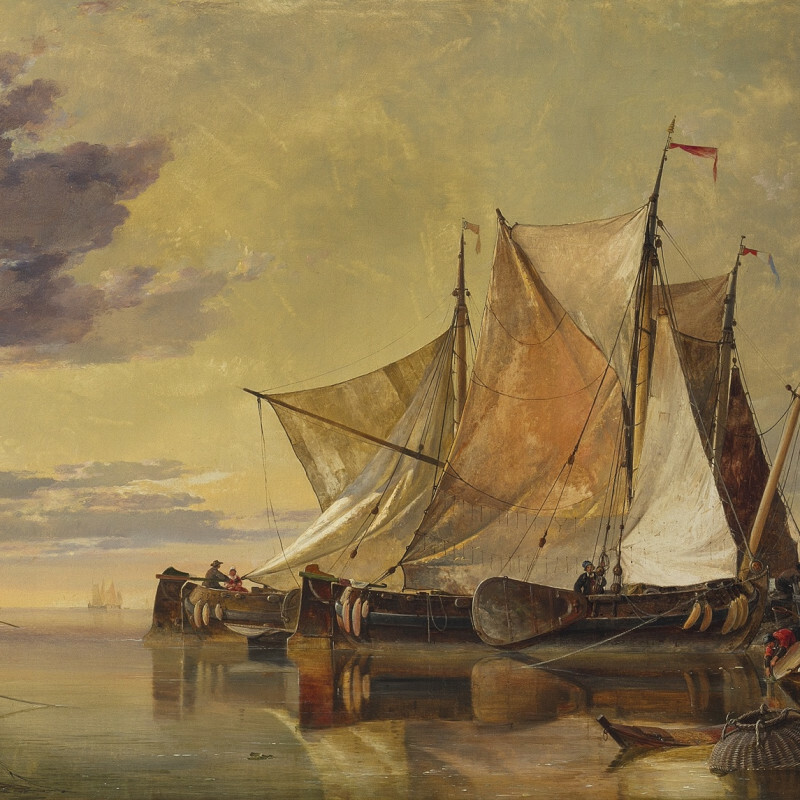 He is said to have studied architecture for a while under A.C. Pugin but developed a natural interest in ships, probably enhanced by his association with Clarkson Stanfield for whom he made sketches in 1826 and whom he greatly admired. His efforts in oil painting were also encourage by others from his father’s circle, including James Stark from whom he had tuition. His famous Shipping and Craft was published in 1829 when he was only eighteen years old. He started to exhibit works in 1835 and they were hung at the Royal Academy and the British Institution, where he continued to exhibit until its closure in 1867. He last exhibited at the Royal Academy in 1879. Some of Cooke’s most successful paintings derived from sketches he made on the beaches of Holland where he visited in 1837, and then again in 1838, 1841, 1843, 1852 and 1860. Another favourite venue of Cooke’s was Venice. He was elected ARA 1851, RA 1864 and, for his geological interests, a Fellow of the Royal Society in 1863.